Purple loosestrife seeds should be sown in trays of compost in spring or autumn. Seeds do not require any special treatment but following sowing, the trays should be kept moist. Once germinated, the seedlings can be pricked out and grown on, for planting out later in the year. When fully rooted Purple loosestrife plug plants can be introduced to their permanent planting positions from late spring through to October. Initially they should be kept well watered and left to develop for several months. When planting into established grass, it is advisable to first cut the areas where the wildflower plants are to be introduced and create a small bare area up to several inches around each planting position to reduce initial competition. 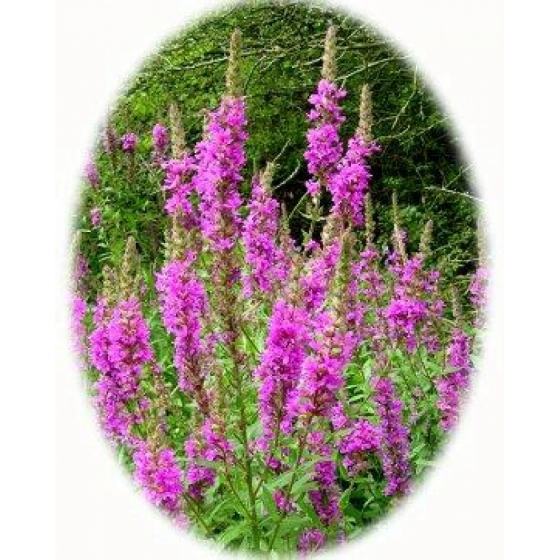 Given the right conditions Purple loosestrife will develop quickly into flowering sized plants. Bare in mind that Purple loosestrife plants of all sizes shed all their foliage for the winter. Once established Purple loosestrife flower plants will self-seed quite readily given the right conditions. One of the many benefits of growing wildflowers is that they will attract a wide variety of insects including butterflies and moths. Wild meadow grasses will also attract butterflies, in particular meadow browns and skippers. Butterflies will visit many wildflowers for the pollen and nectar, drawn by the sweet scent. Then there are specific wildflowers that will act as host plants for breeding butterflies. Often a particular species of butterfly will have it’s own specific host plant on which they will lay their eggs. If you wish to grow wild flowers for butterflies, then it is usually best to position them in the warm sheltered position, which butterflies will prefer. Try growing them close to a nettle bed or Buddleia bush, both of which are renowned for attracting butterflies. Try the following wildflower plants for butterflies.